In order to receive the benefits of yoga you should come to class at Rancho Bernardo Yoga at least one time per week. All Series expire in 6 months. Classes are non refundable, cannot be shared, transfered, and expiration dates cannot be extended. Choose the series that best fits your availability and commitment. Online Class Reservations: Classes reserved online may be canceled up to 15 minutes prior to class with no charge (your account will automatically be credited); cancellations cannot be made after class has started. No refunds or credits will be given for no shows. You can purchase Gift Certificates for $25, $50, or $100. All Gift Certificates can be printed out at home. 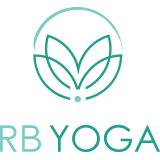 Alternatively, you can purchase Gift Certificates when you visit RB Yoga. Note: Gift Certificates are not refundable, non transferable. Note: All Series expire in 6 months. Classes are non refundable, cannot be shared, transferred, and expiration dates cannot be extended. Only one discount may be applied per series. *Currently not available for online purchase, you must come to the studio and is available on first visit to the studio. Refunds will be given for pre-paid workshops & programs within 24 hours notice of cancellation, less 15% administration fee. No refunds or credits will be given for no shows.